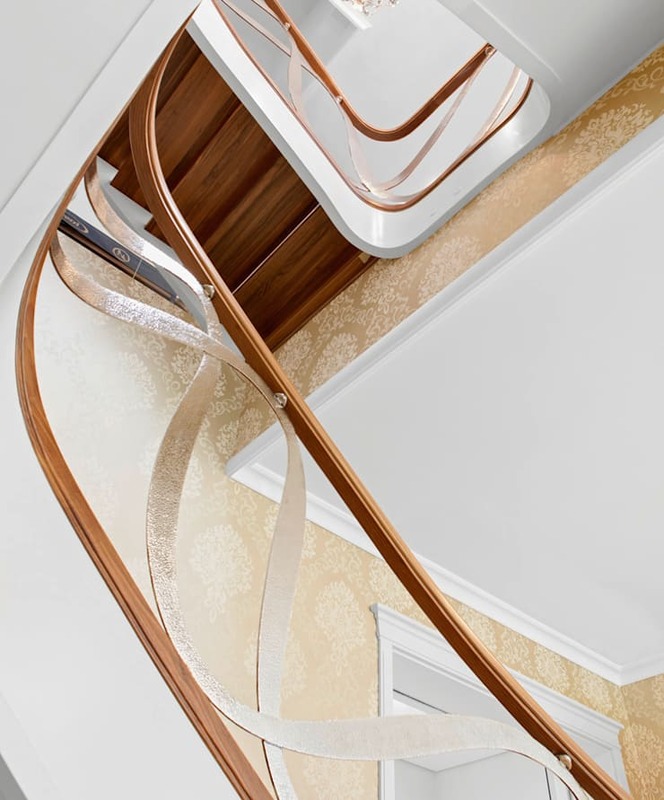 ST795 – Two flights of curved stair made of American walnut and painted oak. 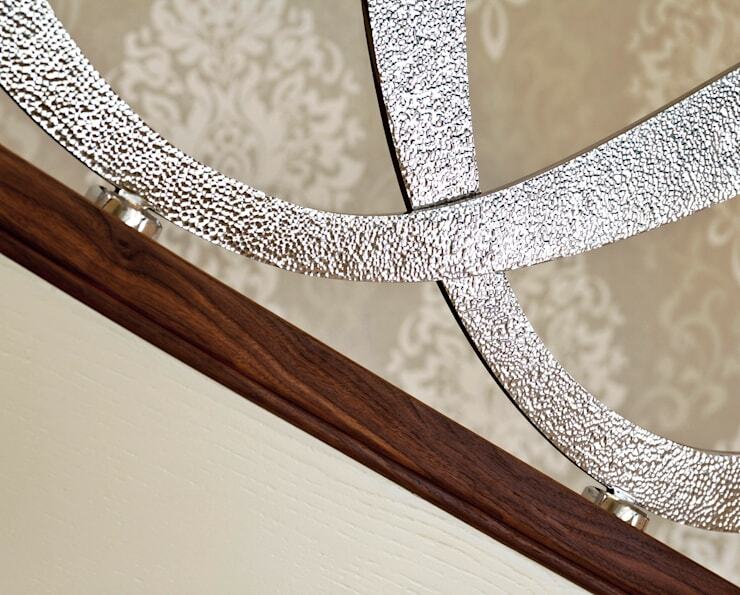 Balustrade of hand-wrought stainless steel, high polish, with wooden handrails. 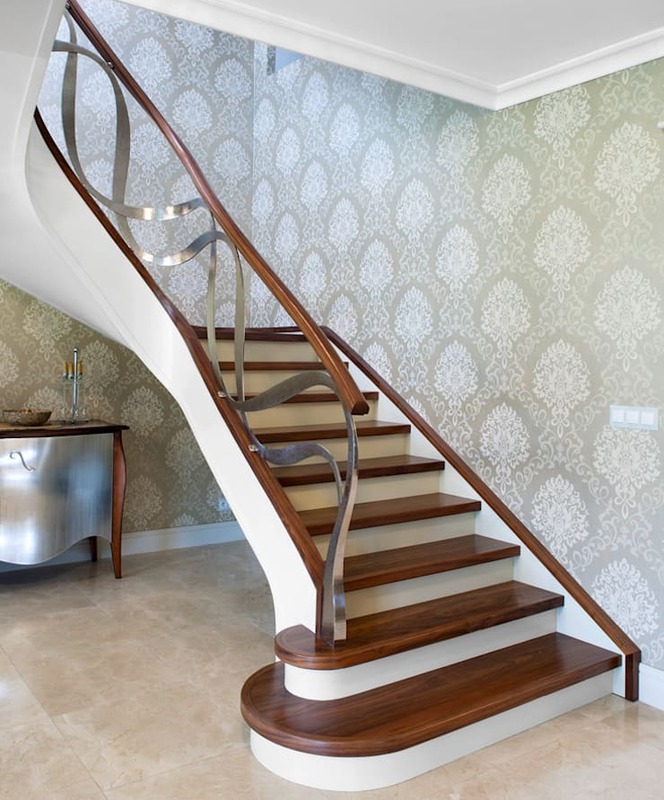 Private residential project, designed by TRABCZYNSKI. 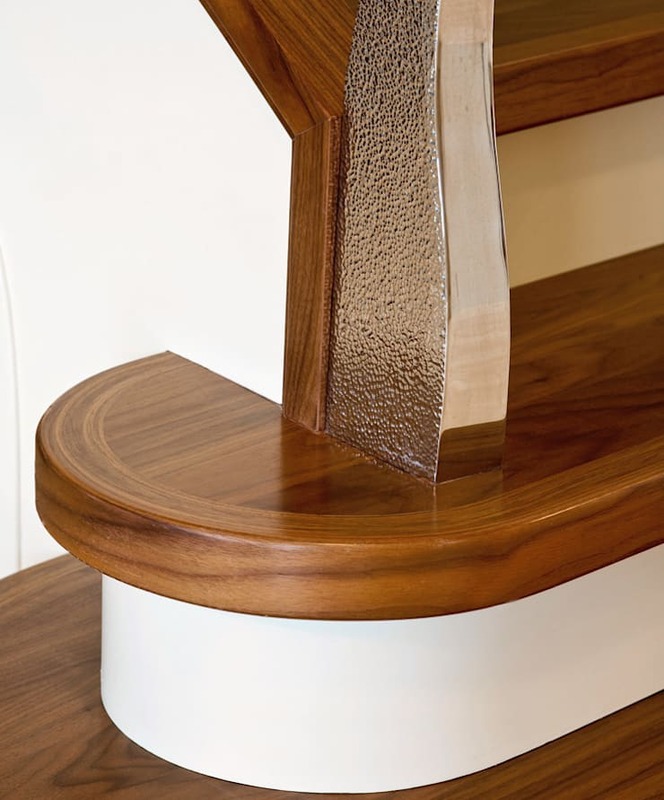 ST795 - Two flights of curved stair made of American walnut and painted oak. 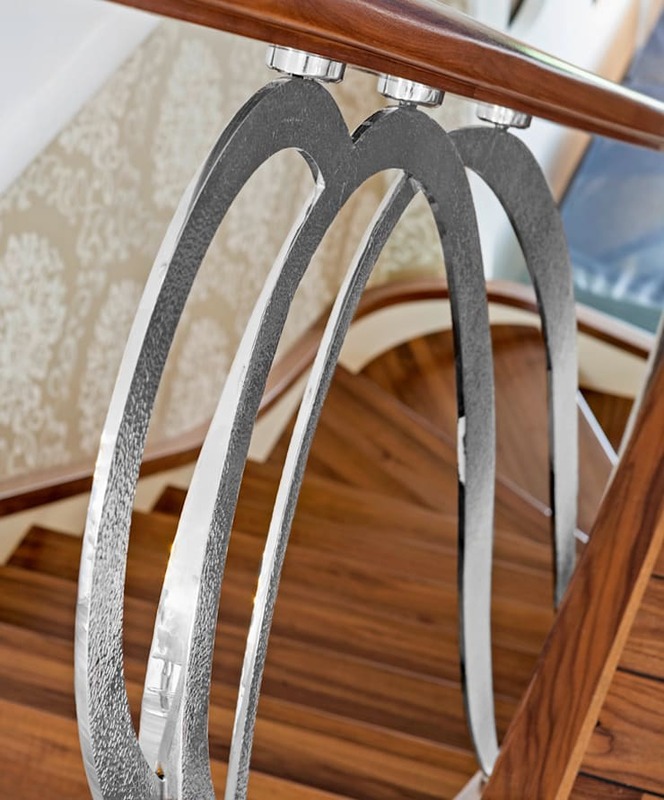 Balustrade of hand-wrought stainless steel, high polish, with wooden handrails. 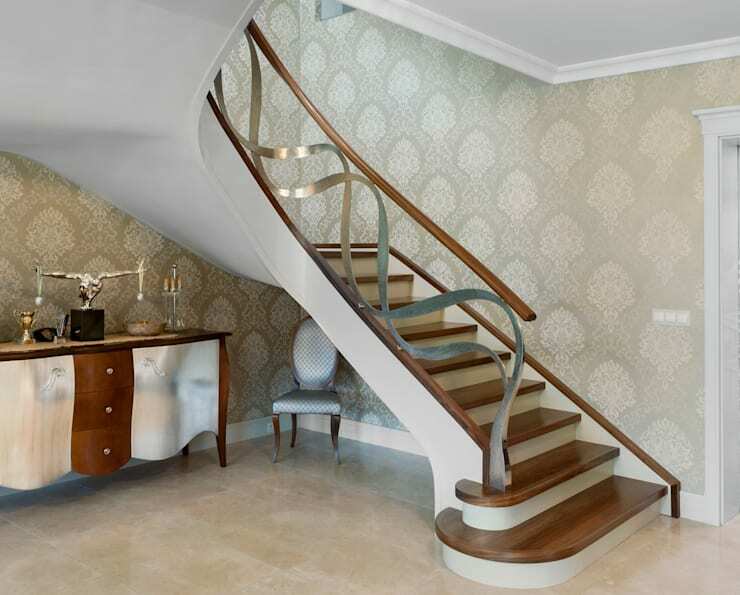 Private residential project, designed by TRABCZYNSKI.